Login to jumper if you already have an account, if you don&apos;t - no problem, sign up real quick here. 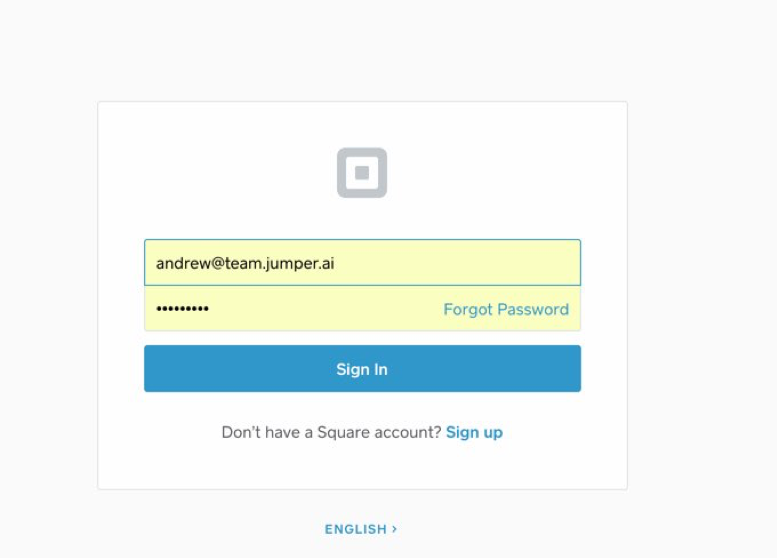 Login into the Square merchant panel to start the sync process. This could take up to 7-8 minutes, it all depends on how many images you have and how big the menu is. jumper will upon connecting Square will start the syncing processes in the background while you make yourself a hot cuppa coffee. 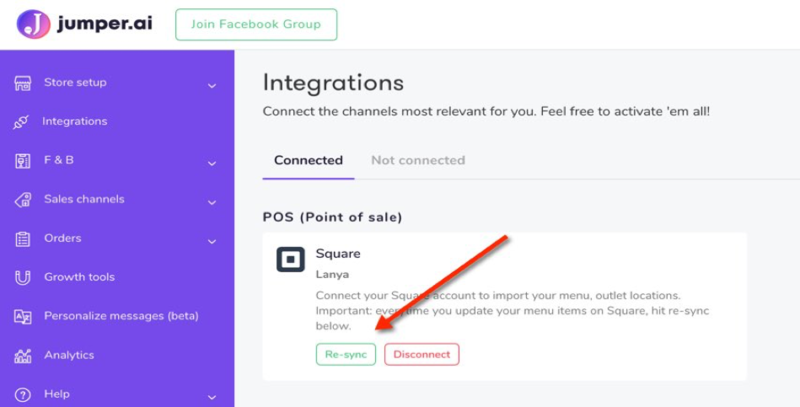 As soon as the sync is complete, you will see a re-sync button at the Integrations -> Square page on jumpers dashboard. If any menu or pricing changes happen on your Square POS, you’ll need to click the jumper re-sync button, to make the edits show up for your online ordering menu.